900 MHz one watt transmitter with smart power management. Li-ion battery with onboard charger. More than five hours of standby time. Ublox-7 GPS operating in high dynamics mode with five updates per second. Large, high gain GPS antenna for best satellite lock. Robust mechanical design supports and protects antennas, battery and all electronics. Mounts in a standard 54mm tube inside a nosecone and is held in place using 54mm liner tubes above and below it. Ready to fly. No sled to build, no wiring required. This is not a "bare board" product. Completely self-contained. Easy to move from one rocket to another. Onboard 50G accelerometer is recorded at 100 readings per second. All flight data is saved in onboard flash memory for post flight analysis. Built-in USB interface for off-loading flight data and recharging the battery. Seven LED status indicators: Flight Mode, Config Mode, Linked, USB Activity, Charging, Charge Done, Charge Failed. Transmitter ID code is listed on the front of the unit. Set any receiver to this ID code to establish a downlink connection. Approved by the Tripoli Rocketry Association for altitude contests and records. Pre-assembled "Ready-to-Fly" nosecones for TelemetryPro transmitters are available at MAC Performance Rocketry. Fully integrated handheld receiver with antenna, display, buttons, and internal GPS. LCD display is fully readable in direct sunlight. Easy to use and very intuitive. Simple menu driven user interface with on-screen cursor. Interactive pre-launch go/no-go status display guides user with setup when getting ready to launch. All of the live telemetry data is displayed on screen in real time during the flight. 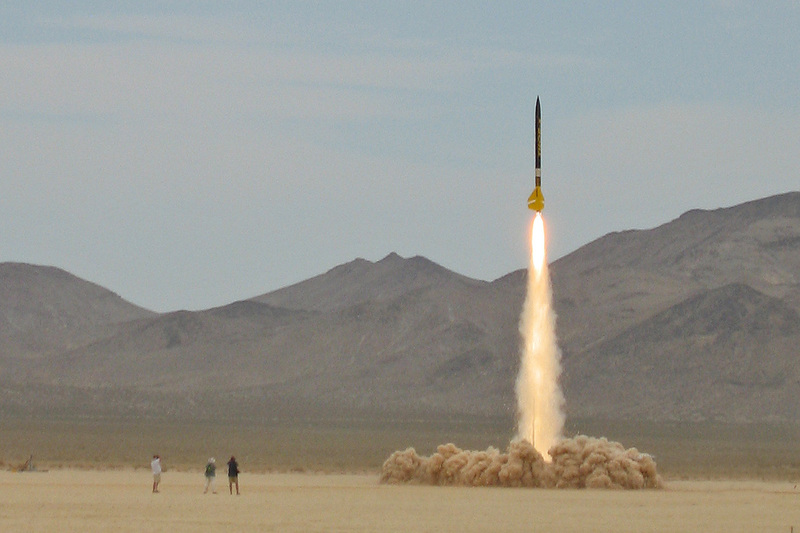 A synthesized voice (Kate) reports rocket trajectory in real time during the flight. Speaker is built-in. An audio output jack is also available for connecting Kate into the launch PA system. It is fun to listen to Kate while watching the flight. This also enhances safety by letting everyone know exactly what is happening in real time. Especially if the rocket has gone out of sight. Flight data and Kate audio commentary from four flights can be saved to internal flash memory. The data and audio can also be downloaded over USB for post flight analysis and play back. A locator screen shows distance and direction to the landing site. Very easy to use for rocket recovery. A special map mode shows the rocket location in real time on a map displayed on a tablet or laptop. 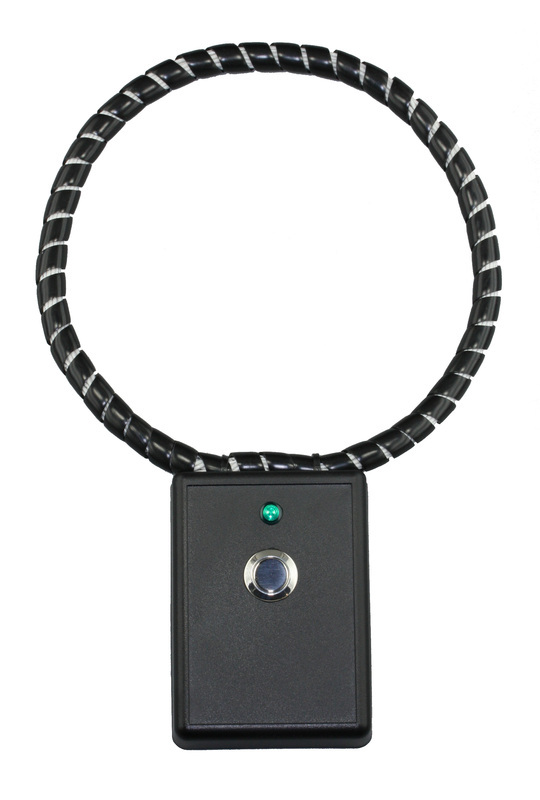 Selectable transmitter ID codes allow any receiver to operate with any transmitter. This allows multiple users to share one receiver. Multiple receivers can also be used for redundancy to simultaneously track one rocket. High performance circularly polarized antenna eliminates signal loss due to transmitter orientation during the flight. There is a five segment signal strength indicator displayed on screen at all times. Flight simulation mode for initial familiarization and practice before an actual flight. Status displays for both the transmitter and the receiver batteries. Requires four standard AA alkaline batteries. Click the play button to hear Kate say hello. This audio is from a flight that went just over 10,000 feet. There are extended periods of silence in some places because this is a recording of the real time events as actually called out by Kate during the flight. The transmitter can be powered-on by passing the turn-on coil around and down the outside of the nosecone. No access hole to the transmitter power switch is needed. Turn-on coil is optional but very handy! Green LED indicator shows battery status and that the unit is operating. Requires one 9V alkaline battery. The transmitter can be powered-off by sending a command from the receiver. Flight Data Analyzer is a software program used to download and analyze the flight data recorded by either the transmitter or receiver. The data is presented in various plots and as a Google Earth trajectory. An Excel spreadsheet is also created to allow the user to perform any further analysis that might be desired. This software can also be used to replay the Kate audio commentary from a flight. It can also update the firmware in the transmitter or the receiver. A collection of flights made by TelemetryPro users is presented in our "Hall of Fame". Photos, videos, flight data and the Kate audio output from the TelemetryPro system are included. Visit the Hall of Fame page!